The financial strength of your gastroenterology practice is directly correlated to timely billing and account reimbursement. 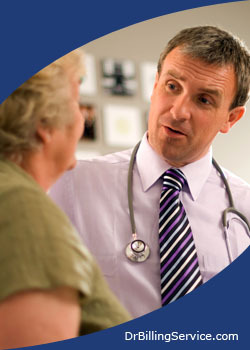 We have years of experience providing gastroenterology billing services. Hiring a quality billing service is one of the most important decisions you'll ever make regarding the business aspect of your practice. It is crucial that your gastroenterology billing company have the experience necessary to handle the complexities presented by gastroenterology billing and modifiers. Why not allow 5 Star to give you the financial peace of mind you deserve? Please visit our homepage to obtain additional information regarding our services, references and other pertinent details regarding our gastroenterology billing services. Billing for gastroenterology services can be challenging and requires extensive knowledge and gastroenterology-specific billing expertise. Medical billing companies that do not have experience working with gastroenterology specialists often make coding mistakes that cause claims to get denied or that lead to underpayment for incorrect services or procedures. For example, only a gastroenterology coder would know that in order to bill a colonoscopy they must also note advancement beyond the splenic flexure. Otherwise, the documentation would be incomplete and would only support a sigmoidoscopy. Generic billing software might not catch this, and it could lead to lower levels of reimbursement for the physician, which makes a difference over time. 5 Star Billing Services knows gastroenterology and endoscopy billing inside and out, which means your practice will receive maximum reimbursements for the services you provide. Our billers will work with you to evaluate underpayments and identify other problem areas. We also guarantee that your practice’s billing needs will be met by qualified gastroenterology billers. Our gastroenterology billing service is based in the United States and is fully compliant with HIPAA standards and regulations. This means that your patients’ protected health information will never be compromised. Our billing and coding employees are well-trained and keep up to date on the latest changes in gastroenterology codes and payer requirements. This ensures that the claims we submit are accurate and do not delay payment. We also understand the claims denial process and can appeal denied claims quickly and efficiently to ensure speedy reimbursement. A gastroenterology billing company should increase your reimbursements. In fact, it should be more efficient and effective at billing than your own office. A gastroenterology billing company should let you and your personnel focus on practicing medicine. Whether you own a private practice or work in a hospital or multi-provider facility, a gastroenterology billing service can make your practice more profitable. According to industry experts, a claims adjustment rate of between 20% and 35% is considered good and acceptable. At 5 Star, our account executives have an average of eight years in gastroenterology billing. Their knowledge, ability, and dedicated follow-up is why our adjustment rate is consistently lower - as low as 12% with Medicare. At 5 Star, we achieve AR rates for our practices that are higher than the industry average. Simply put, you and your practice will get a higher average return per processed claim. 5 Star Billing Services is unique in the field of gastroenterology billing. We offer a complete business solution to your medical billing and practice management needs, and we do it all for one fee. All the medical billing services and benefits you receive are included, even your overnight mail for shipping your demographics.